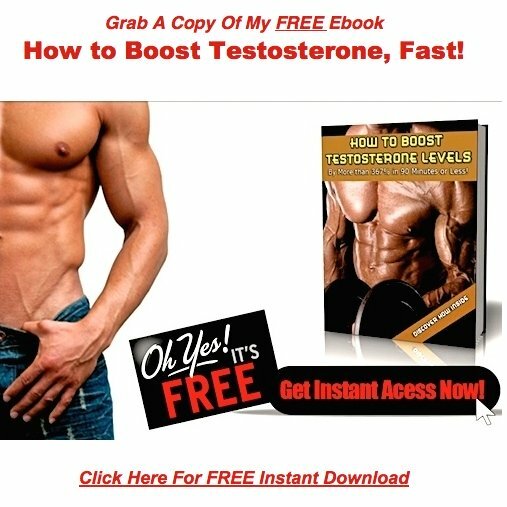 How to get off testosterone replacement therapy…. Is there a way to stop using without suffering massive consequences? This is a question I get asked at least twice a week by men who have been put on TRT and are seriously regretting it. And now I have what appears to be a definitive answer from a long time site visitor named Brad who was on the juice for nearly 10 months…. And successfully cycled off and got his testicles and his life back on track. 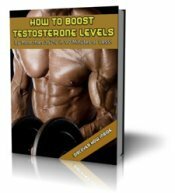 This is highly recommended reading for any man who is considering going on TRT or for men who are already on the juice and want to get off. Last week I read your weekly email and have to agree with you 100% and pass along some encouragement to James. Back in January of 2010, my primary care doctor tested my T-levels. I had been feeling very run down, had gained some weight and was dealing with mental fog like never before. I was 44 years old at that time. I had also been under some intense pressure running my own business, and dealing with some serious personal issues. My stress and anxiety levels were at some all-time highs. And, as one who is educated might guess, my T-Levels were in the cellar at 246 ng/dl. The normal healthy range on most scales ranges from about 300 up to 800 some scales show healthy ranges from 240 - 950. So, he gave me an injection of Testosterone. Well anyone who has ever had a T-Shot will tell you it is like an adrenaline rush in a major way. I was in ignorant bliss. When my wife came home that day and just put her hand on my shoulder it was like lightning in a bottle. I couldn’t wait to go back 10 days later and have another shot of this magic juice. Soon enough, he put me on TRT gel, which I rubbed on daily. I began hitting the gym and shed a few pounds of fat, and began to work my way back into shape and out of the mental fog, or so I thought. What I didn’t see coming was a major storm ahead both physically and mentally. Within 6 months of being on TRT, I began to have significant mood swings from extreme feelings of anger in the early mornings, most likely due to spikes in T-Levels, to incredibly depressed feelings midday, most likely due to T-level drop offs. You see the problem was that my testicles had NOT failed. I was NOT suffering from Primary Hypogonadism. I had been experiencing an interruption in the HPT Cycle (hypthalamus-Pituitary-Testes), sometimes called the HPG Axis (source). The combination of stress, long hours, poor diet and a lack of sexual activity due to overwork and long hours, put me in a downward spiral hormonally and in turn physically. So, the TRT served as a short cut booster that made for a false sense that it was actually helping. Yes, I felt better for a few months. But, the trouble and side effects soon began. At about the 6 month mark, one morning in the shower, as I soaped up my body as I had done thousands of times, I had a strange experience…. When I went to wash between my legs, something was seriously strange. I felt my testicles and they felt as if they were peanuts, not healthy walnuts. 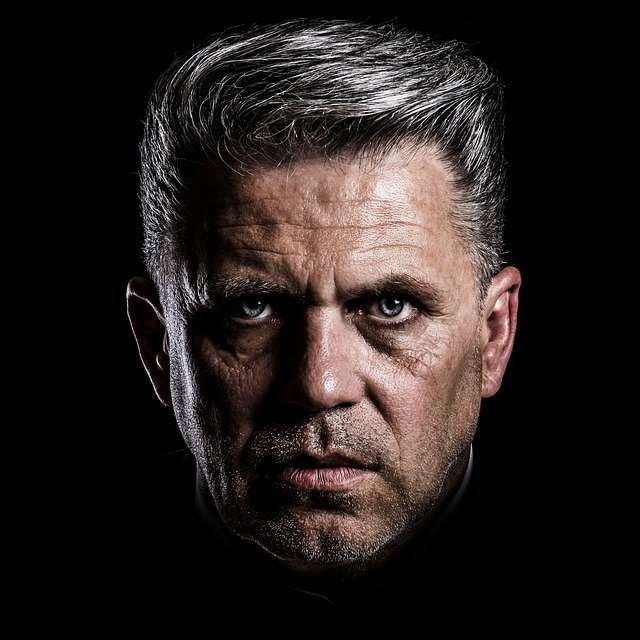 I had been slowly suffering from testicular atrophy which had reached a point in which it became very noticeable to me both from the feel of them and from the look. The mood swings had begun to be difficult to handle, but I was coping. Now, another physical and aesthetic change and I was starting to wonder if perhaps I was just falling apart. This went on for a while and I began reading about how to balance Testosterone levels and how to boost them naturally. After about 3 months of on and off searching on the web, I found your website. By this time, I had been on the juice for nearly 10 months. I had consulted with two other doctors who told me that once you get on TRT daily gel, you never come off. They both told me that my mood swings would get dramatically worse if I stopped cold turkey and that it was highly unlikely if my testes would ever produce adequate levels of Testosterone again. But, I did not give up. I kept reading everything I could find. I ended up reading 3 different books and numerous articles on the web mostly from medical websites, but some from alternative medicine website. But, I kept gravitating back to your website. I researched numerous natural supplements and I finally contacted you through email asking if you thought I could pull my self off the juice and go natural. Even you told me it would really really hard to be on the “sauce” for 12+ months and to just stop cold turkey. But, from where I stood, I had no other choice. I had had my T-Levels tested twice over the previous 90 days. And one test showed me at 109 ng/dl and a second test only days later showed me at close to 900 ng/dl. My guess was that at times, my testes were shutting down and my body was simultaneously throwing off the TRT and at other times, my testes were in full production in addition to the TRT. The constant up and down of my hormonal levels were literally driving me mad. I was close to suicidal, and I am not kidding. I simply could not get any worse in my opinion. So, I made a plan to wean myself of of the T-gel and simultaneously begin cycling herbal supplements, which is something you preach on your site. I also started on HCG injections (which I will talk about in a moment) and some high intensity workouts. It took about 3 months before I stopped having the mood swings. In another 3 months, I began to feel back to myself at least most of the days. I still had some bad days during the week, but I was functional again. I had confided in my wife and she was trying to understand and trying to be supportive. Without her, I would not have made it through. It was a living hell, as I didn’t know who I was from day to day. I felt like two different people living in the same body. At about 10 months, I had become a master at cycling the supplements. I had become a workout machine, hitting the gym 6-7 days a week. I was not losing that much body fat, but I was building muscle fast. At 5’7” tall, I was at about 190 lbs after 1 year off the TRT. I was bench pressing around 250, I was running a 5k at least 3 times a week, even set a personally of running a 5k everyday for 60 days in a row. I had cut my 5k time down from 31 minutes, when I started, to under 24 minutes, and was able to hit the free weights for a hour after I ran the 5k. And, I ran the 40 yard dash in under 5 seconds on 3 different timed runs. I was in the best physical condition I had been in in years. And, I was drug free. I had become educated and I vowed to never take direction from a doctor again without thoroughly understanding the consequences. Fast forward 3 1/2 years to today, and I am a normal healthy 49 year old. I haven’t been hitting the gym as much lately and I am up to 199 lbs. Need to trim up a bit. But, I don’t have to cycle herbs everyday any longer. I still hit them sometimes and I understand how to eat and how to exercise better. But, what is most important, is that I am healthy and free of the emotionally charged - hormonal hurricane that had me trapped back in 2010-2011. Without your website, I don’t think I would be here today. I was headed toward a very dark place. Herbal cycling to boost my own testosterone levels, using HCG injections while weaning myself off of TRT, and knowing that I needed to do high intensity resistance workouts, again something you advice, literally saved my life. I hope this message can help someone else. Which is why I took the time to write it. TRT is a huge mistake for anyone whose testes are still functioning. Guys need to find doctors that know what the hell they are talking about. I got my own doctor to run a LH Level test (luteinizing hormone). If LH levels are low, that is a possible reason why T levels are low. Since HCG mimics LH (Luteinizing Hormone), by injecting HCG, I was be able to trigger Testosterone production. I could not find a source for dosing recommendations. But, a book I read talked about dosing to a degree. I made an educated guess about how much to give myself. Guys should find a doctor who is knowledgable and take the drug under their direction. I do no recommend guessing. But for me I had no other option. A guy should have a positive diagnosis of Primary Hypogonadism, before he should ever be open to Testosterone Replacement Therapy. If the low T-levels are truly hypogonadism and it is secondary, you have to find the root cause; stress, poor diet, lack of major muscle engagement exercise, etc. Make the correction, boost your own T-levels with herbs and get healthy! Oh, and BTW, within 6 months, my walnuts were back and hanging happily where they rightfully belonged. So whoever says testicular atrophy cannot be reversed needs to have their head examined for content. My boys are working just fine and producing like they should. Thanks Mark - you are saving lives! I want to thank Brad for taking the time to write this excellent testimonial. If you got something out of this and would like to read success stories from other men, you'll find them on This Page.